Looking at car insurance is confusing for many people, often causing them to end up buying it through the first company that they get in contact with. However, by comparing the premiums from a number of companies, they may get a lower premium. Different companies offer different cover packages for varying prices. Even packages that are named similarly between companies can be different. Whilst getting car insurance quotes to compare, you may also want to study the features and benefits of the various companies policies to make sure that you are getting the cover you need. For instance, are the companies all offering the same levels of excess as this may have some bearing upon your decision. How much do optional extras like car breakdown cover, legal expenses cover and personal accident cover cost? What is the difference in cost between the three levels of cover – third party, third party fire and theft and fully comprehensive car insurance? What would the impact on the premium be if you were to fit an alarm to the car? It may not make a difference with one company but with another you may be charged less for the cover. A great way of comparing car insurance quotes is to use a price comparison website as you only need to key in the requested information once and you may be provided with quotes to peruse from many different companies. It only takes a few minutes to do this. 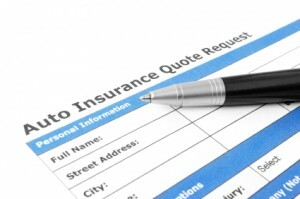 Yes, the main potential benefit in comparing car insurance cover from different companies is that you may get a cheaper premium from one of them for the required level of cover but it also gives you the opportunity to consider the options that these companies provide that may not always be the same.